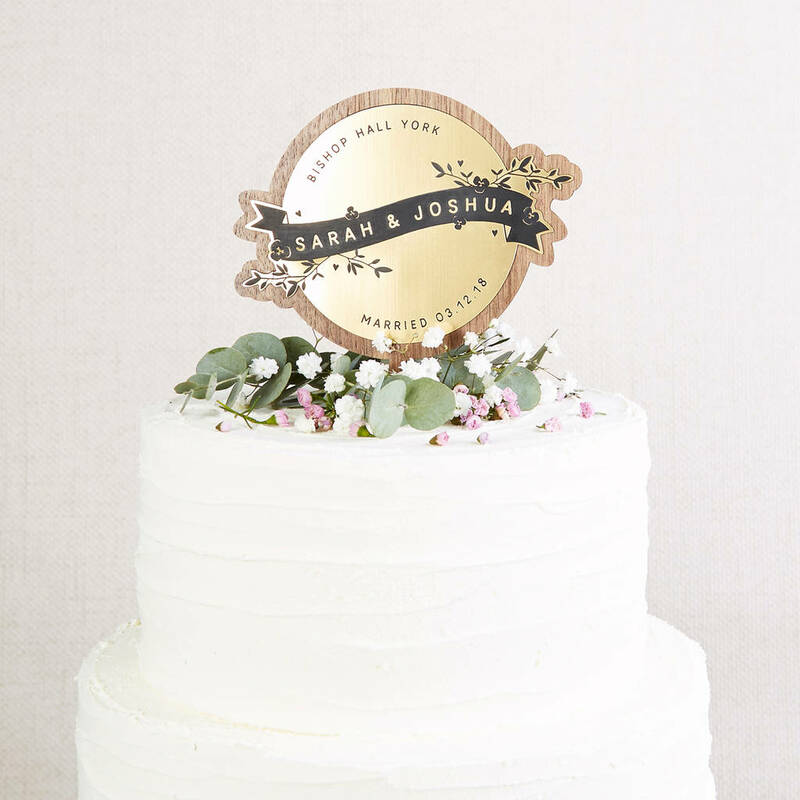 Luxury wedding cake topper, engraved metal on wood. 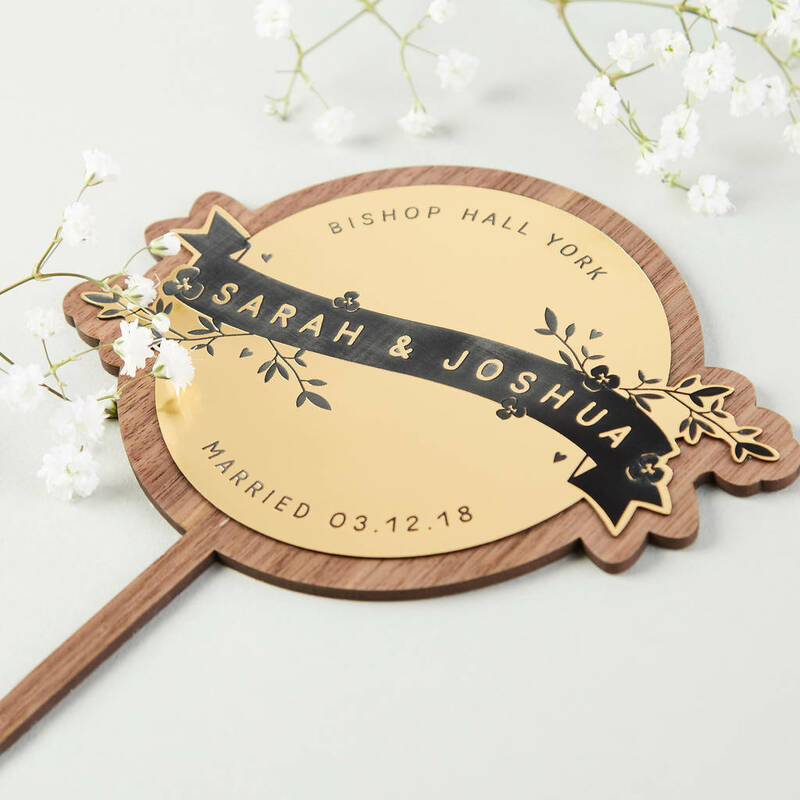 An intricate floral illustration with the couple's names on a banner, the wedding date and wedding location are engraved into the metal layer which is then added to a walnut veneer base. Wedding cake topper made from 3mm Walnut veneer wood with an engraved metal layer. Wedding cake topper measures 14cm at the widest point. The stem is approx. 13cm long.